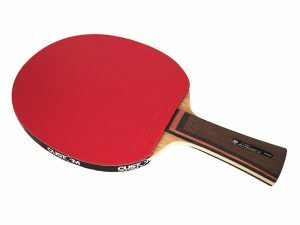 New for 2019 CLASSIC ALLROUND WOOD – The newly developed Classic Allround features a specialised combination of selected woods suitable for the Allround player. The 5 ply construction allows for maximum feel and control. The superior quality is the result of a combination of the finest specialty woods available and High-Tech manufacturing. The No.1 choice for players looking to improve their game at an amazing price. Supplied with a free bat case and rubber protectors. This bat is fitted with Kokutaku 868 40+ rubbers for maximum spin and control, see more information about these best selling rubbers below. 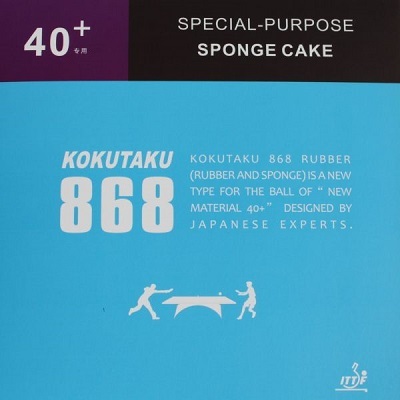 Kokutaku 868 40+ Rubber: Developed for the new ball for maximum spin! EXPLOSIVE professional table tennis rubber with a high grade tacky surface and soft power sponge. Made from natural rubber and the world’s most advanced pimple structure & rubber surface treatment technologies. Attacking players can easily force the play with real confidence due to the exclusive 38 degree soft sponge developed for the new ball. This rubber is perfect for strong spin and great control. 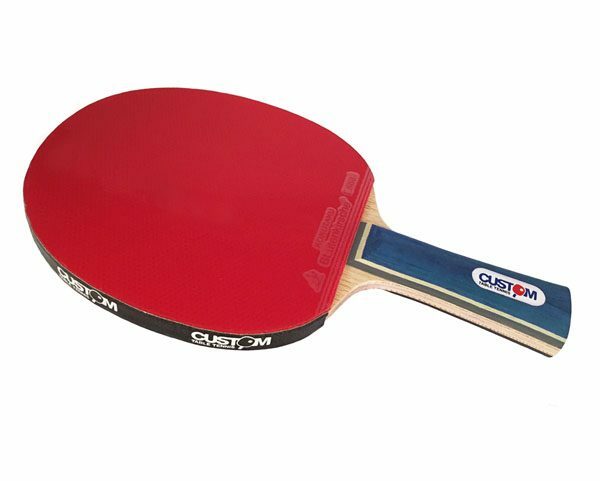 – ITTF Approved Professionally Made Custom Made Bat. 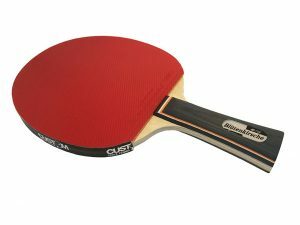 – High Quality Allround Blade Fitted with Kokutaku 868 40+ Rubbers. – Blade Sealed So No Splintering When Changing Rubbers. – FREE Bat Case & Rubber Protectors. WHY CHOOSE A CUSTOM MADE BAT? 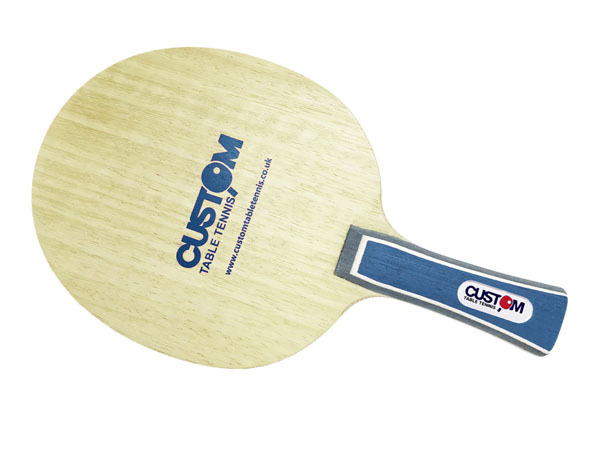 A custom made bat is a professional ITTF approved wooden blade fitted with ITTF approved rubbers. This is an investment as the wood blade can last a lifetime and the rubbers can be replaced. A factory pre-made, packaged or plastic bat is assembled in a factory as one piece and is designed to be thrown away once the rubbers have worn. 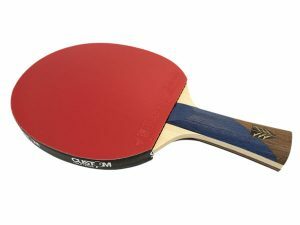 Plastic bats are fine for outdoor ping pong but not ideal for actual table tennis as they do not have the spin and feel of a wood blade with rubbers. 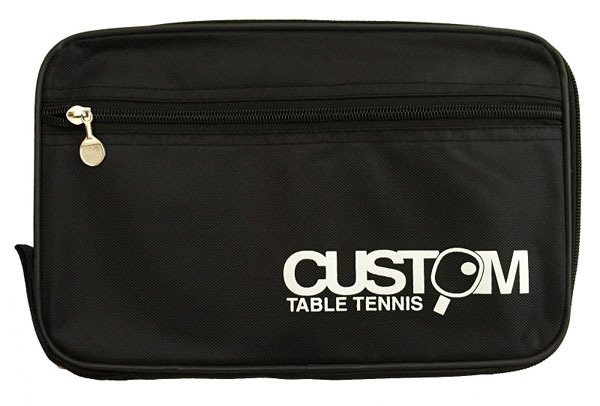 WHY BUY FROM CUSTOM TABLE TENNIS? 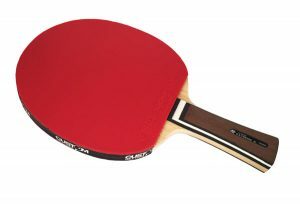 We are a family run business specialising in table tennis equipment. Consisting of players and former coaches we pride ourselves on offering the best products available at the best possible prices. 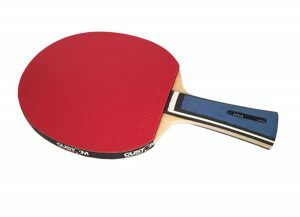 We have been selling all things table tennis for over 30 years and 10 years on eBay and are always happy to offer genuine advice and a great service.